The PKI 9400 is a reasonably priced, very effective and quick technique to check incoming mail for suspicious contents. No need for electrical power or complex material. The direct visual examination protects you from false alarms in the case of metallic items such as staples or paper-clips, which may occur when using metal detectors. 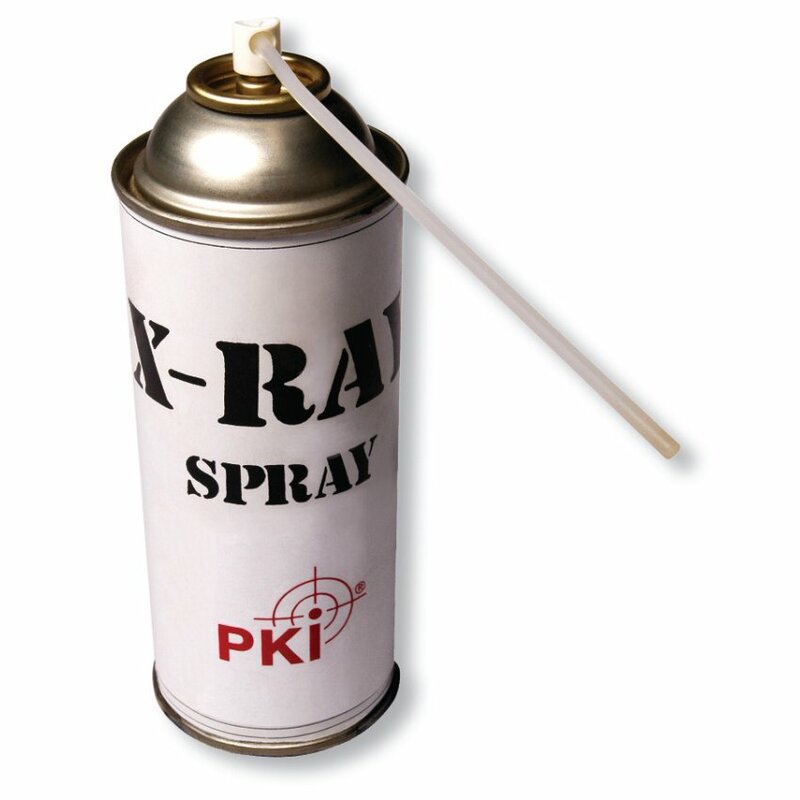 This X-ray spray is the perfect mail examination tool for security personnel, incoming mail departments and director’s offices. The use of the PKI 9400 is as easy as possible. Just spray it onto the suspicious envelope, which becomes transparent. After a few seconds the liquid will evaporate without leaving any traces and free of residues. With its quick and easy use, the PKI 9400 perfectly completes the use of metal detectors and electronic mail scanners, in order to effect a first check of the incoming mail.